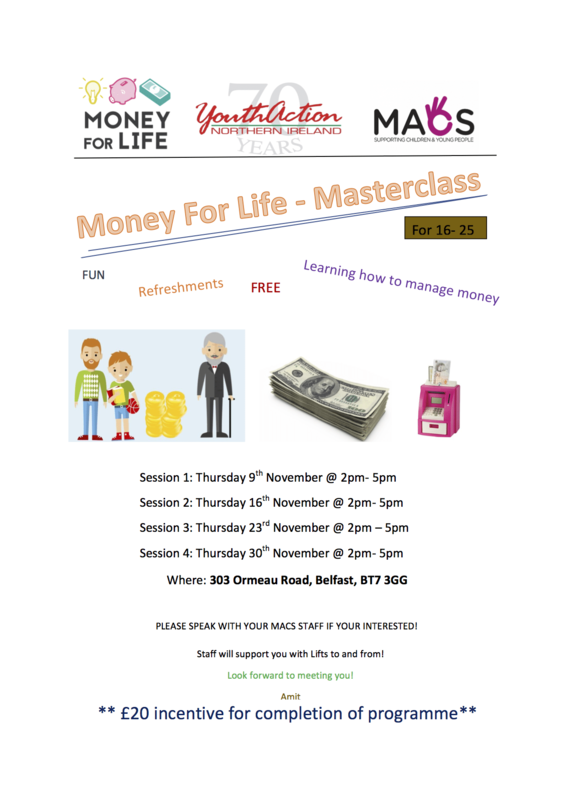 Money For Life training will be delivered to the young people from Belfast Floating Support over the next four Thursdays from 3-5pm @ MACS Ormeau Road. 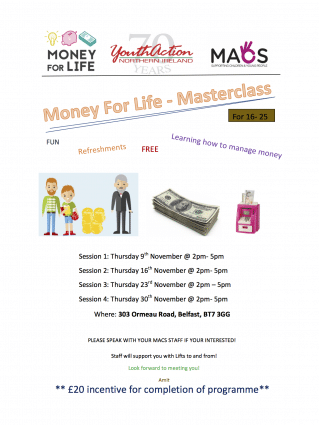 This will be fun & friendly and young people will learn good skills for managing money. There’s a £20 cash (incentive) for completion of the course too! Also, with a Money Challenge project, young people (as a group) could have up to £400 for their chosen money related project. If you’re a young person in Belfast Floating Support and are interested in the programme – drop me an email on StudentOne@Macsni.org or speak with your worker. Looking forward to seeing you.